Chris Roberson Co-Writer "Witchfinder: The Gates of Heaven"
Co-Writer for "Witchfinder: The Gates of Heaven"
Rich: How did the "Witchfinder: The Gates of Heaven" comic book come into being? 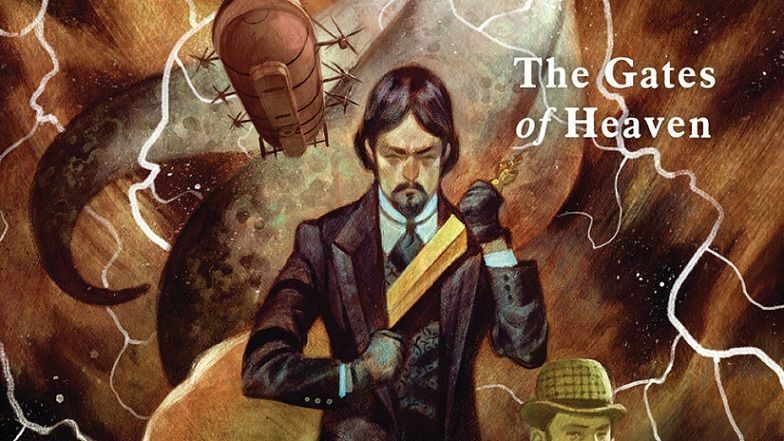 Chris: As many stories set in the world of Hellboy do, this series began with a conversation that I had with Mike Mignola, about things we were interested in exploring in the Victorian era. That lead to further conversations between the two of us, eventually looping in our editors Scott Allie and Katii O’Brien, and then a lot of research and orchestration as we worked out how best to fit all of the pieces together. Then D’Israeli was brought onboard to handle the art, and the whole thing came into focus. Rich: Who is the Witchfinder? 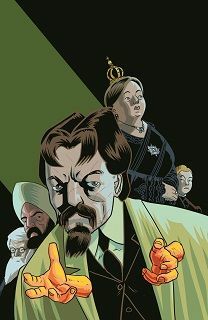 Sir Edward Grey is an occult investigator in service to Queen Victoria, and spends his time defending the realm against all manner of supernatural threats. Rich: Who are the Heliopic Brotherhood of Ra and the secretive Foundry? Chris: The Heliopic Brotherhood of Ra is a long-standing secret society devoted to shining the light of science and reason into the darkness of the occult, or so they claim. They have been a thorn in Sir Edward’s side since the early days of his service to the queen. As for the Foundry, they are being introduced in “The Gates of Heaven,” so all I can say about them without spoiling matters is that there are more people involved in investigating the paranormal and the occult than Sir Edward previously suspected. Rich: How do you feel about a story set in the Victorian-era? Chris: I’ve always had a fondness for stories set in the Victorian era, and in particular any which mix in supernatural or science fictional elements. Rich: What is the main selling point of "Witchfinder: The Gates of Heaven"? Chris: What begins as a murder mystery and an investigation into a rash of thefts quickly spirals into a much larger threat that puts the whole world at risk. Rich: How do you find working with Mike Mignola and how does it work co-writing a comic? Chris: Like many of the stories we’ve done, this one began with a conversation between me and Mike, as we brought together various fragments of ideas and assembled them into a larger story. 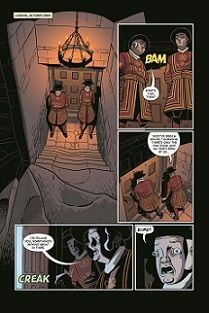 Rich: How does this book continue on from "Witchfinder: City of the Dead"? 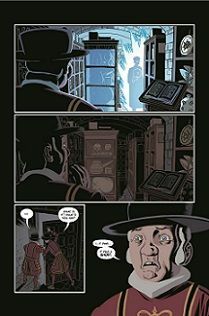 Chris: Each of the volumes of Witchfinder are stand-alone stories, and can be picked up and enjoyed by anyone who hasn’t read the previous volumes, but longtime readers will find that there are character arcs and story threads that continue throughout. Rich: What is next for Hellboy and the BPRD? Chris: The next storyline of Hellboy and the BPRD, 1956, is something of a departure from the previous volumes, involving a number of different artists (some of whom have never worked on a book in the Hellboy universe before) and lots of moving parts. Rich: What about working on "Izombie" did you enjoy the most? Chris: There were many things to enjoy about working on that series, but probably the highlight was the opportunity to collaborate with Mike and Laura Allred, who in addition to being a phenomenally talented artistic duo are also some of the nicest and most charming people you could ever be lucky enough to meet. Rich: What genre do you prefer working on and why? Chris: I don’t know that I have any one favorite genre, but I enjoy working on projects that mix elements of real history with big crazy ideas. Rich: Do you believe the supernatural exists for real in some form? Rich: Can you tell us what the future holds for your career? Chris: I have a number of new projects in the works, including some new prose stuff, but for the short term all I can say for certain is that I’ll be continuing to work on new stories in the world of Hellboy for as long as they let me! Rich: How would you like to visit the Mignola Universe and meet Hellboy and his friends? Chris: I would enjoy meeting up for a drink with Hellboy, but I’m not sure that I’d like to do it in his world. It seems like a dangerous place. Maybe a more neutral location would be safer. Rich: What would you like to say to all the people who read your comics? Chris: Just one thing: Thank you!